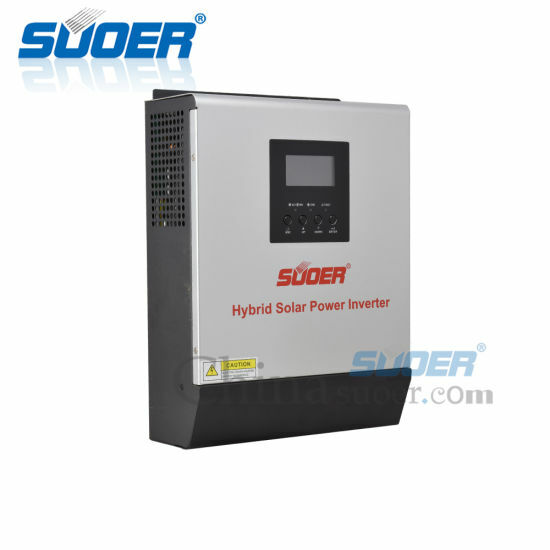 Hybrid Solar Power Inverter, Power Inverter, Pure Sine Wave Power Inverter manufacturer / supplier in China, offering Suoer Hybrid Solar Power Inverter 12V DC to 230V AC 50A Charge Inverters with LCD Display, Suoer 5000 Watt on off Grid Tie Solar Hybrid Energy Storage Inverter 5kw 5000W Power Backup Invertor, Souer 3phase 2.2kw 220V VFD Frequency Converters MPPT Solar Inverter for Water Pump and so on. *Typical transfer time for parallel operation is 30ms. Product specifications are subject to change without further notice. 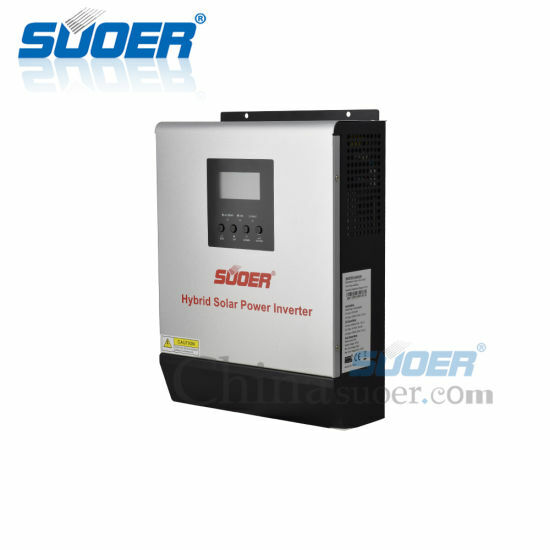 1.Equipped with PWM solar charge controller to maximize and regulate DC power from the solar array for charging the battery bank. 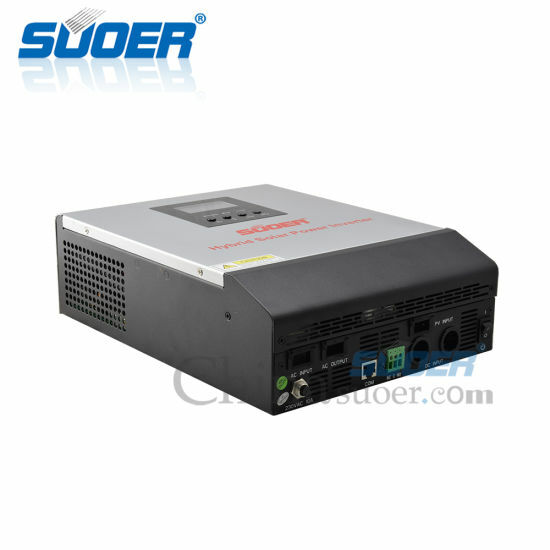 2.Transformerless design provides reliable power vonversion in compact size . 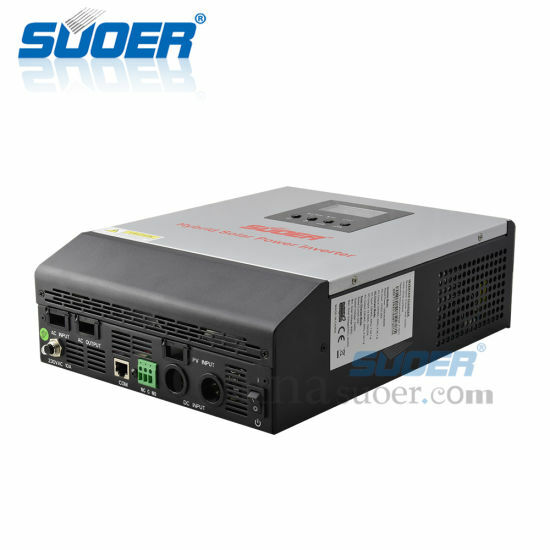 3.Besides, it's worry-free to start up motor-type loads such as refrigeratorrs,motors,pumps,compressors and laser printers as well as electronic loads like TVs, Computers, power tool and battery chargers. Answer:Yes,but customers need to pay for the sample fees and express fees,and it will be returned when next order is confirmed. Answer:1~5 days after the deposit payment is confirmed. 3.What's your payment terms for sample? 4.What's the price terms can you offer for us? Answer:We can accept EXW,FOB,CIF and so on. 5. Do you have any certifications for your products? 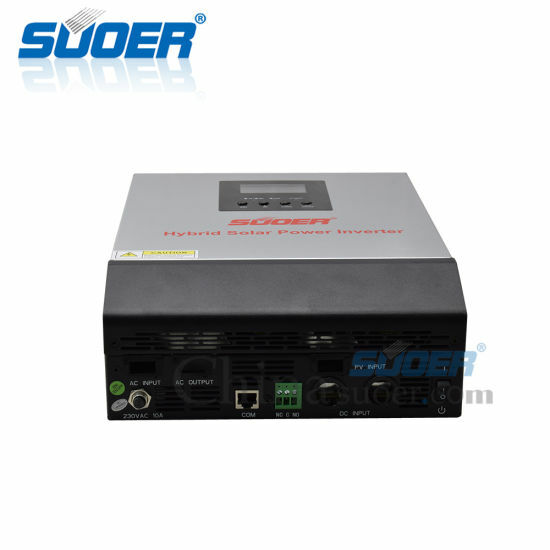 Answer:We have ISO9001:2000,CE,RoHS,certifications for all of our products. 6.Where is your main market for your products? Answer:Most of our Suoer brand products are exported to Southeast Asia,Africa and Mid East.